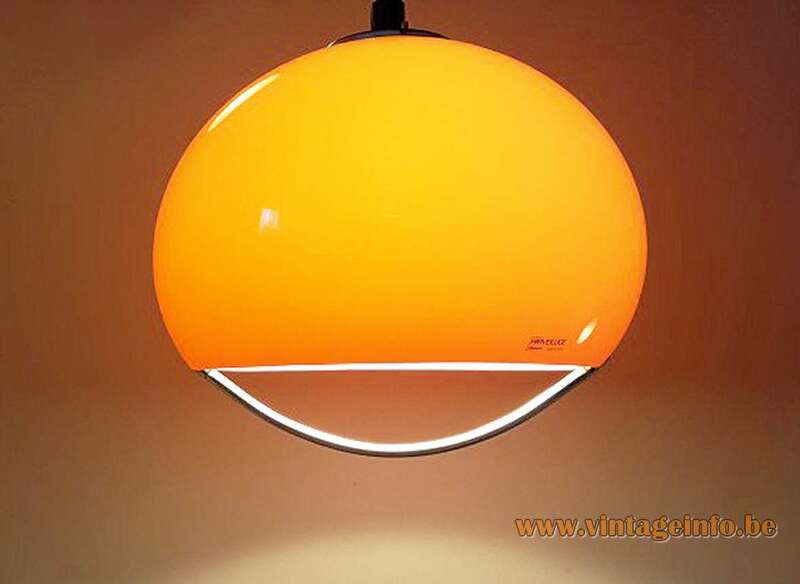 A Harvey Guzzini Jolly pendant lamp was used as a prop in the French drama film Le Premier Jour du Reste de Ta Vie from 2008 (The First Day of the Rest of Your Life). Starring Jacques Gamblin, Zabou Breitman, Déborah François. Directed by Rémi Bezançon. 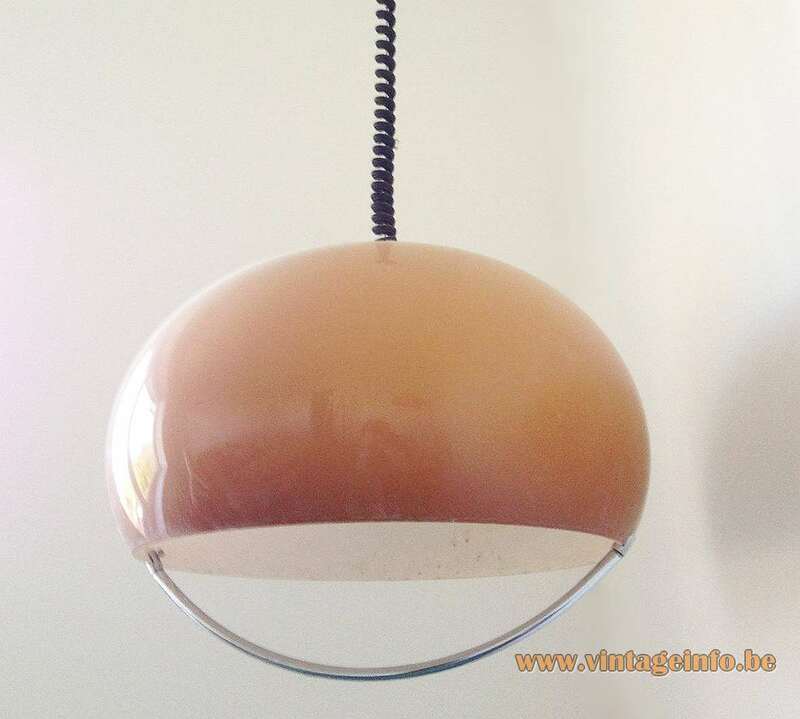 Materials: Gradient brown acrylic globe, white inside. Chrome lamp holder. Chrome handle. Rolly rise & fall mechanism. Bakelite socket. Cord: This one has an adjustable rise & fall mechanism (40 – 140 cm / 15.74 – 55.11”). It can be easily adjusted in height by pulling the chrome handle underneath. Any type of light bulb with an E27 socket can be used. 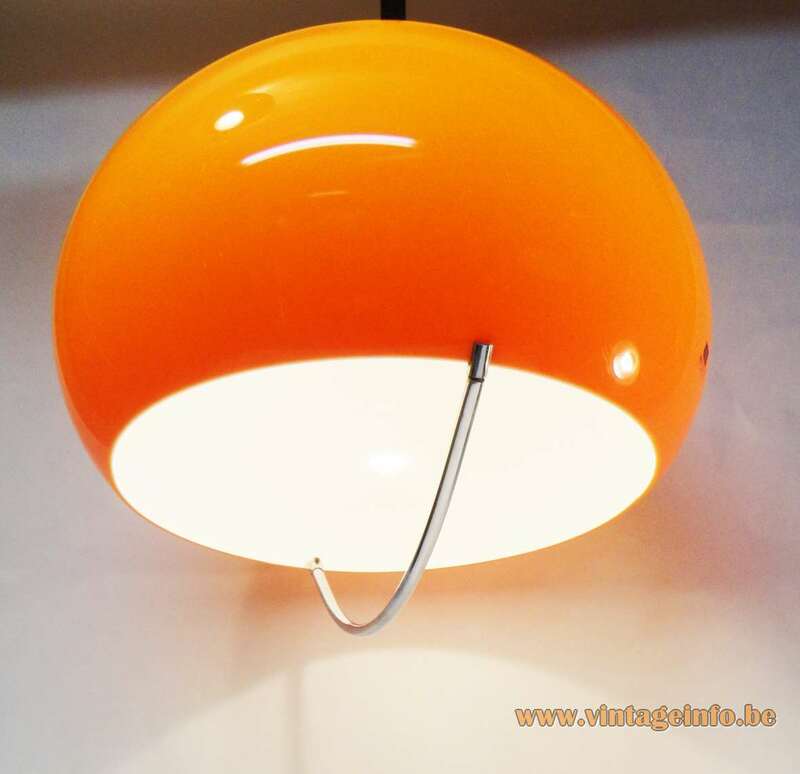 Period: 1960s, 1970s, 1980s – Mid-Century Modern. Designer: Luigi Massoni (1930 – 2013) in 1968. 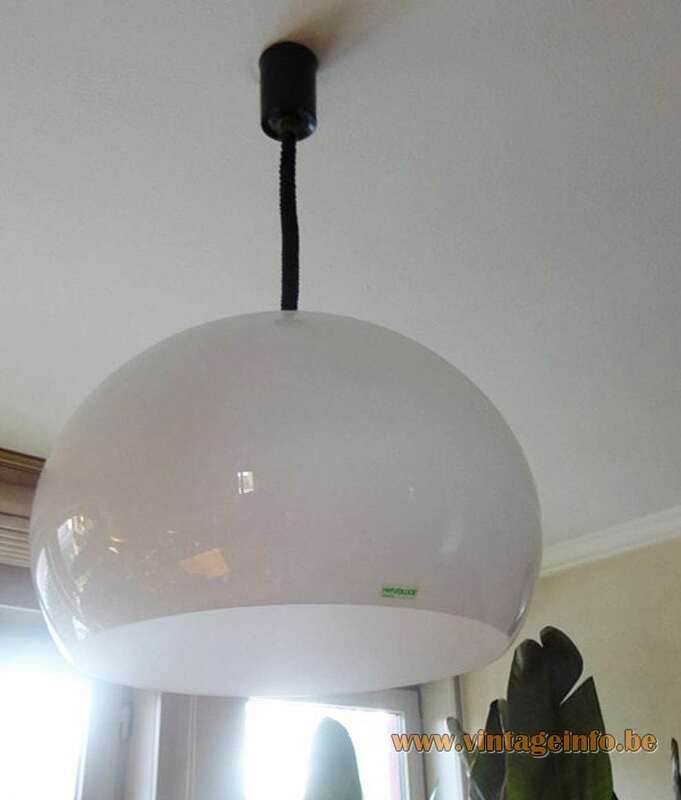 Manufacturer: Harvey Guzzini/iGuzzini, Via Mariano Guzzini, 37. 62019, Recanati, Italy. Other versions: Also made in a smaller version 37 cm / 14.56”. 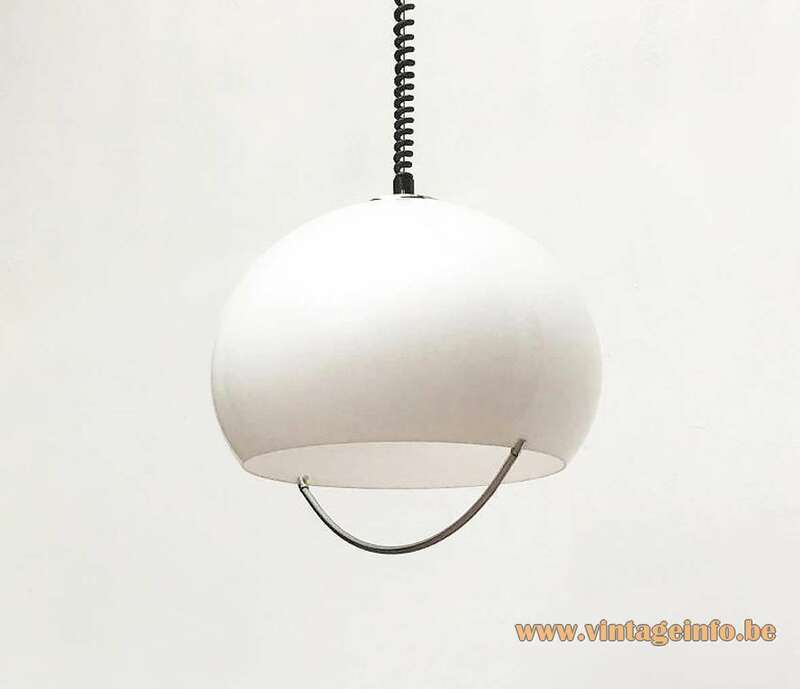 The Jolly pendant lamp is always provided with a chrome handle and a rise & fall mechanism by Rolly. 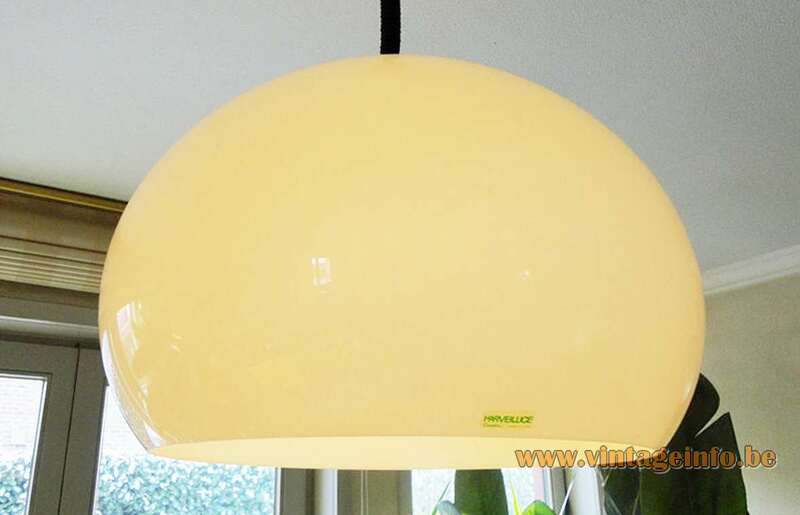 The pendant lamp without the handle is exactly the same, but was never sold as Jolly. It has no name. Also a version with a white diffuser inside was also made as you can see in the picture of the film Le Premier Jour du Reste de Ta Vie. Colours: White, gradient brown, green, red, orange. Over the years some other colours were also produced. This one is model 3024. In production until 1981. The date on the Rolly rise and fall mechanism says: 1973. 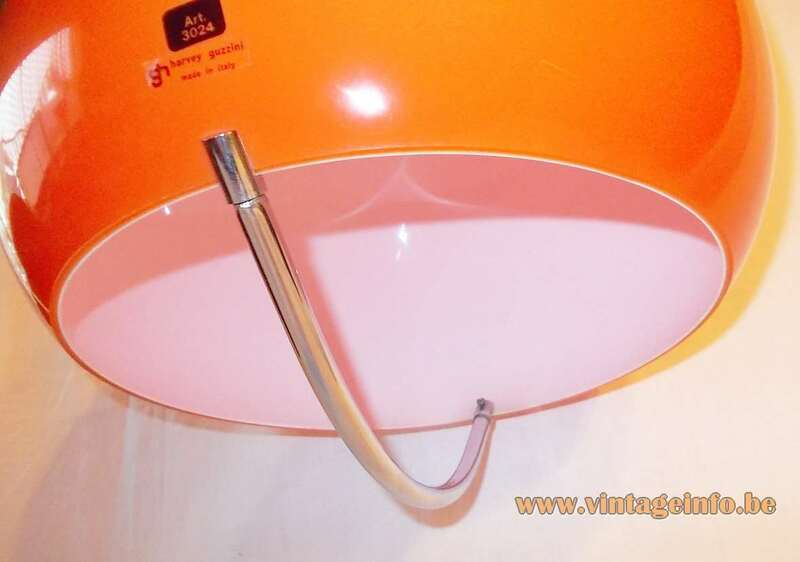 Rolly is an Italian company that produced rise & fall mechanisms for many lamp producers around the world in the 1960s, 1970s and 1980s. Acrylic is known by several names: Perspex, lucite, acrylic glass, Crylux, Plexiglas, Acrylite and many other trade names.